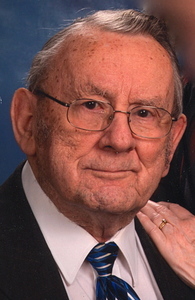 Pastor Ivan H. French of Winona Lake, Ind., died at 10:30 p.m. on Thursday, December 12, 2013 at Grace Village Health Care Facility, Winona Lake, Ind., at the age of 88. He was the pastor of Pleasant View Bible Church of Warsaw, Ind., from 1975-1992. After serving three churches, Professor Ivan French, taught for more than 20 years at Grace College and Theological Seminary in Winona Lake, Ind. He was known for his warm heart and humorous stories (what he called “illustrative anecdotes”) he taught Bible, theology, and church history with both an academic knowledge and practical application. His teaching infused a heart and energy for Christ and the church in the seminary program. During this time he continued to be active in pastoral ministry, campus leadership, global missions, and Bible conferences, encouraging and strengthening the men and women he had helped to train. He was the author of Principles and Practices of Prayer (BMH Books, 1997). He was a member of IFCA (Independent Fundamental Churches of America), and was on the board of directors of Spanish World Ministries. Ivan also served in the U.S. Marine Corps during World War II and was honorably discharged in May 1946. Ivan was born on April 14, 1925 in Ontario, Ore., to Harry French and Anna Maude (Wright) French. On September 17, 1944, he was married to Arloeen Edith (Krause) French, who survives in Winona Lake, Ind. He also leaves behind his daughter: LaNita French (Warsaw, Ind. ); three sons: John (and his wife, Christine) French (Winona Lake, Ind. ); David (and his wife, Lori) French (Manila, Philippines); Douglas French (LaPorte, Ind. ); and four grandchildren: Suzanne (and her husband, Shawn) Osborne (Ft. Wayne, Ind. ); John David French (Winona Lake, Ind. ); Alexandra French (Manila, Philippines); Tobin French (Manila, Philippines). He was preceded in death by his parents, two brothers, and four sisters. There will be visitation on Thursday, December 19, 2013 from 2:00 p.m. to 4:00 p.m. and 5:00 p.m. to 7:00 p.m. at Redpath-Fruth Funeral Home, 225 Argonne Road, Warsaw, Ind. A graveside service will be conducted on Friday, December 20, 2013 at 10:00 a.m. at Oakwood Cemetery of Warsaw. Those wishing to attend… please meet at the funeral home by 9:50 a.m. to go in procession to the cemetery. His funeral service will be at Noon on Friday, December 20, 2013, at Pleasant View Bible Church, 2782 W. 200 N., Warsaw, Ind., and officiated by Pastor John French and Pastor Mike Hontz. I remember him fondly when I was at Grace from 1973-77. I attended Pleasant View Community Church. I remember him walking several miles in the snow to give a final exam. He was a gracious man. I am thankful he was my professor.